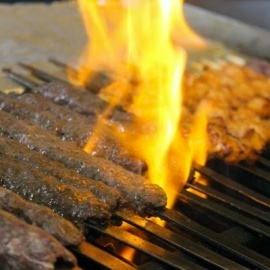 Maiwand Kabob opened in the fall of 1999 on a quiet corner in the heart of Columbia, Maryland. As Columbia’s very first Afghan restaurant, it was envisioned as a quaint, family-owned eatery with one simple goal: to provide generous portions of fresh Afghan food at moderate prices. Since our modest beginnings, Maiwand Kabob has slowly and thoughtfully expanded to four locations to better serve and accommodate our customers. 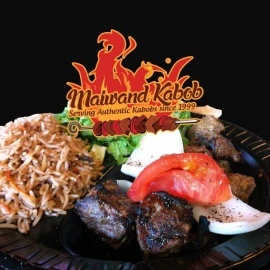 Celebrating our 13th year in business, Maiwand Kabob has been consistently honored for its great taste and value. 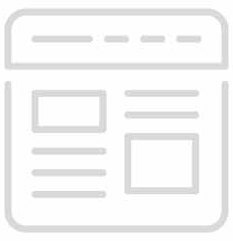 We have been recognized in the Baltimore Sun and the Washington Post and have been awarded the “best cheap eat” in Howard county.